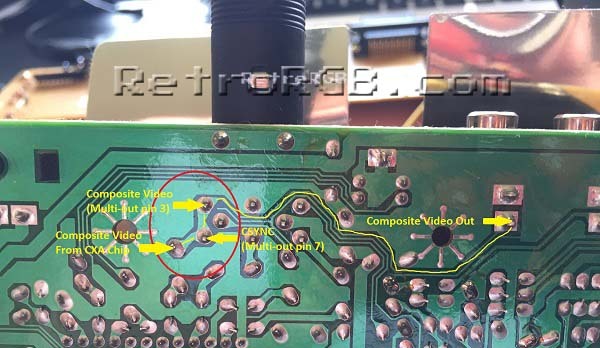 I’ve only tested a handful of Neo Geo CD systems, but all had the same strange flaw: csync isn’t connected to the multi-out! This guide shows you how to re-enable csync and explains what the problem was. – Razor, X-Acto Knife or box cutter (something really sharp). This is a fairly easy mod, however it requires cutting traces on your NGCD, so please do this at your own risk!!! 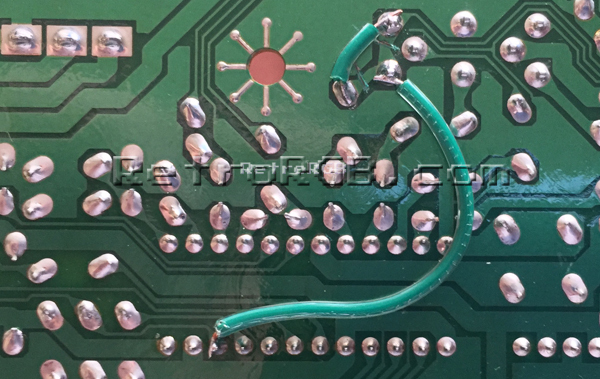 As an FYI: This mod gets sync directly from the CXA 1645P chip, which I believe is TTL sync. If you run your systems through an Extron RGB interface (recommended) it shouldn’t be an issue, as those usually clear up any sync issues. I believe adding a 680 ohm resistor will lower the sync to csync-level voltage, however I haven’t tested on an oscilloscope yet!!! If you’d like to be safe, you could follow this exact same guide, but instead of soldering to the Sony CXA chip, simply connect the wire to the luma output on the S-Video port. If anyone has better suggestions for a proper output, please let me know and I’ll update the guide. – Start by disassembling your NGCD. 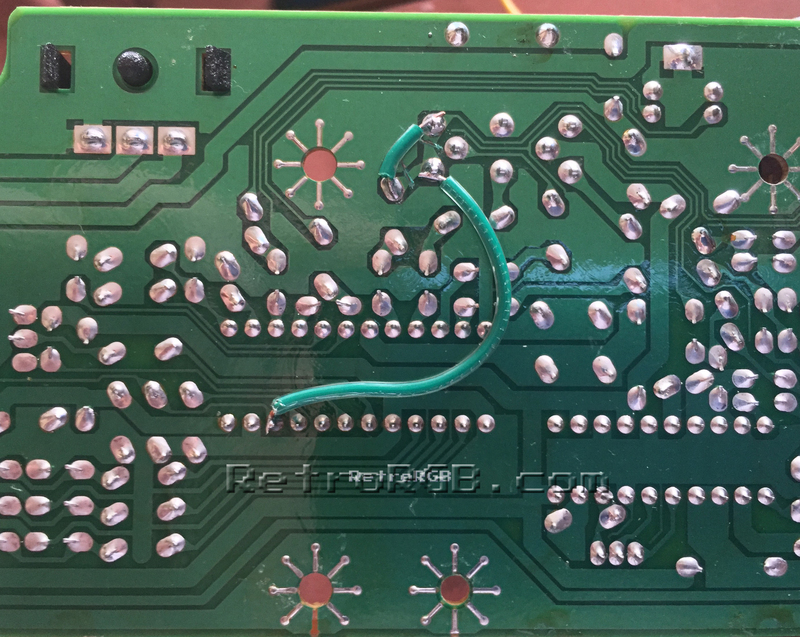 Once you’ve removed the top cover, unbolt the circuit board with the output connectors on it. 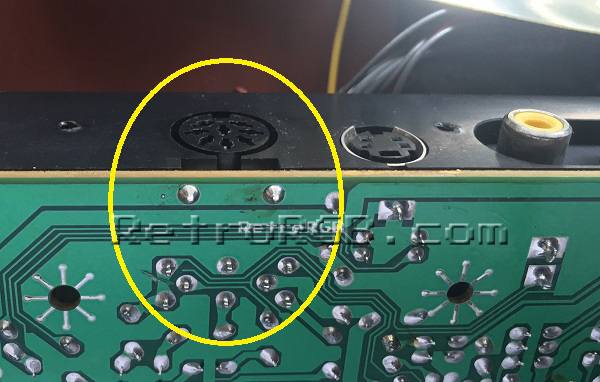 You don’t need to remove the wires, just unbolt the board and flip it over. That’s it, a simple way to enable csync on your Neo Geo CD systems! Please let me know if you have any questions, or if your NGCD seems to have a different configuration. Feel free to go back to the main Neo Geo page. If you’d like info on mods for other systems, head to the Getting RGB From Each System page or check out the main page for more retro-awesomeness.